It is our pleasure to be one of New Yorks top suppliers of professional wedding and event decorations. We provide service to alot of New York's top wedding planners, wedding decorators; providing them with elegant wedding decorations at an affordable price. Event Decor Direct in New York also services to restraunts, hotels, event centers, expo centers, and night clubs along with many other businesses. 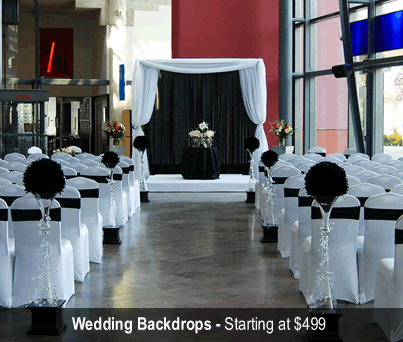 Wedding Backdrops - Backdrops are something you will need if you're intending on decorating a wedding in New York this season. Backdrops will help you have an unforgettable wedding, whether your backdrop will be stately greek columns or up lighted sheer panels. Backdrop Lighting –- Any of our lights will make your backdrop look incredible. 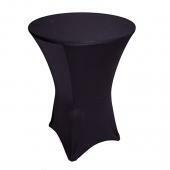 To get the most out of your wedding backdrops in your New York wedding it is wise to use our backdrop lighting. 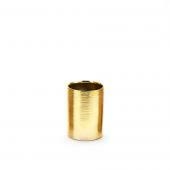 Our backdrop lighting solutions include LED par cans, LED bars, and basic par cans. LED lights are a perfect choice since they allow you to choose any color of the rainbow with a touch of a button. Crystal Décor - Crystal decor products will glitz your wedding hollywood tv show style or give you the feel of a platinum wedding. 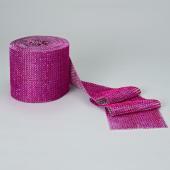 We have acrylic ornamental drops, huge crystal decor curtains, acrylic crystal branches, beads, and rolls of crystal. A must have for your New York wedding is definately our crystal decor. 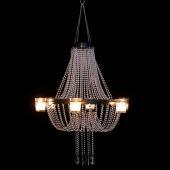 Chandeliers - Decorate your restaurant, wedding, stage, windows, night club, etc. perfectly with our acrylic crystal chandeliers. Crystal Curtains - We have multiple size of crystal curtains ranging from 6 foot door curtains up to 20 foot wedding backdrop curtains. 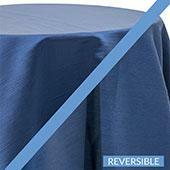 We are New Yorks top source for crystal curtains. Candles - You will find our wide variety of candles and candle decor accessories are the perfect thing for your New York event or wedding. 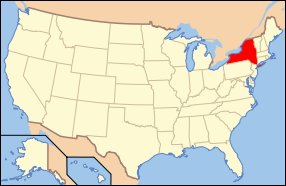 We offer elegant brushed steel and glass candle holders, floating candles, pillar candles, smart candles plus so much more in New York. 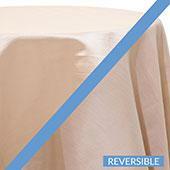 Ceiling Draping - Have a one of a kind wedding in New York with a complete ceiling draping kit. They were made with weddings in mind. Your New York wedding decorated with ceiling drapings will leave your guests speechless. 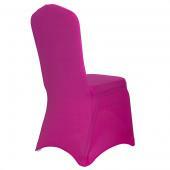 Chair Covers - Event Decor Direct offers premium quality chair covers at a great price in New York. 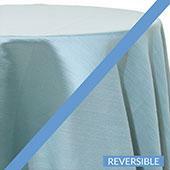 We have a selection such as universal fit chameleon wrap, satin, lycra or polyester flex chair covers in New York. 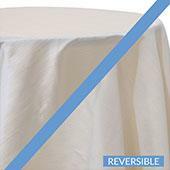 Event Linens & Drapes - Our popular sheer drapes and valences are just one of the varieties of event linens and drapes we offer in New York for an affordable price. 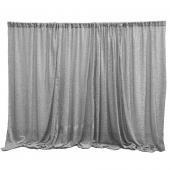 Pipe and Drape - Pipe and drape kits comes with everything to create a wall of drape in New York and are perfect for wedding backdrops, school functions, trade shows and so much more. 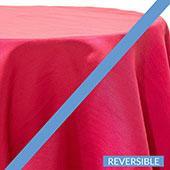 Drape kits are a must for your New York event and is high quality.